If you ever felt jealous of blogs receiving huge numbers of comments, then this post is for you. It hurts to get hundreds, maybe even thousands of visitors to your blog without them leaving comments. Besides that, comments are also beneficially for your blog’s SEO, especially when comments contain keywords you want to rank for. 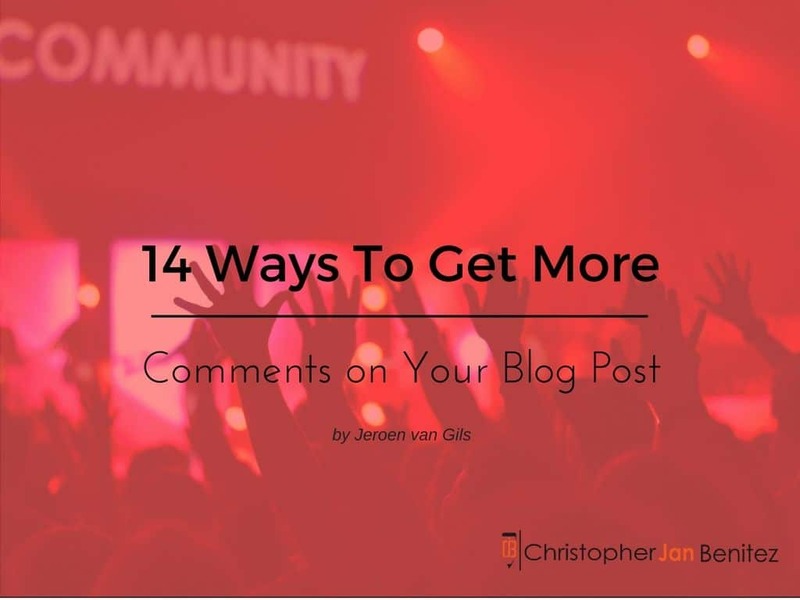 It is time for you to get more blog post comments. 5. Would you leave a comment on this blog post? Although you may currently not get as many comments as you would like, don’t make the mistake of not responding to the genuine, useful comments you do already get. If you reward value-adding commenters with a respond, next time they will probably leave a comment again, which will trigger current non-commenters to leave a comment too. 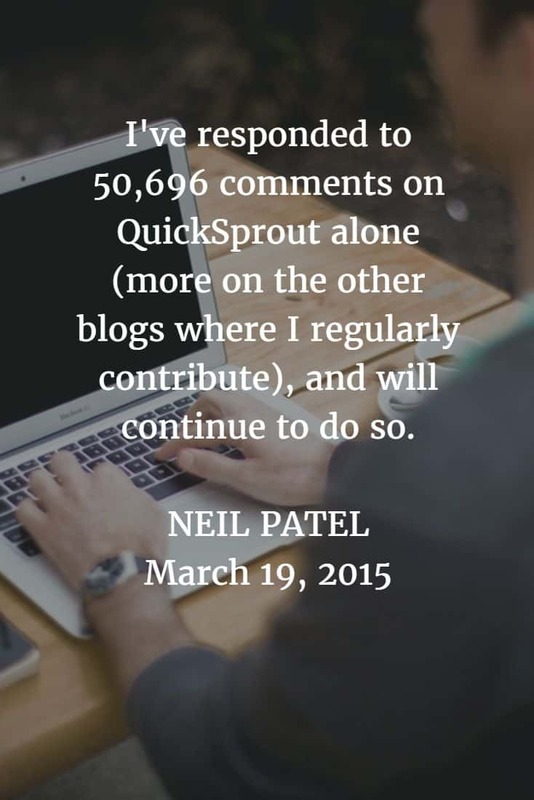 An example of someone who always to responds to all his blog post comments is Neil Patel. Just go to any post on his Quick Sprout blog, and you will see that Neil genuinely responds to every comment he gets. Asking a question (or multiple questions) at the end of your blog posts results in much more blog comments than if you would not have asked a question. People are far more likely to respond to blog posts with questions than blog posts without questions. A good question is similar to a call-to-action. Trust me; your blog readers will love opportunities to contribute to your blog, such as asking them for their opinions about a particular dilemma or asking them to fill out a (feedback) survey. You can create surveys for free on SurveyMonkey.com, and there are also a lot of survey WordPress plugins out there. Depending on the size and topic of your blog, you may even want to think about accepting guest authors to write on your blog. If you have a relatively large blog, chances are you get blog post requests on a daily basis. If not, you should think about putting a unique contact form on your blog so that people can request blog posts. 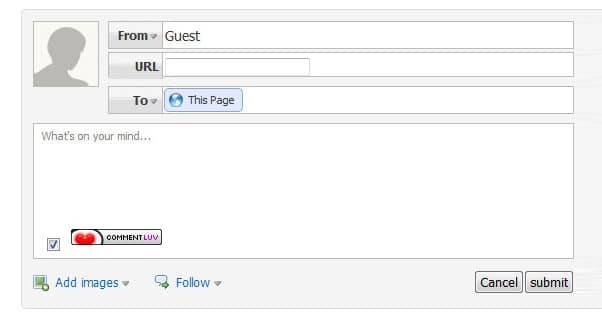 Like the example below, you can also add a question to your main contact form. If you pick out and fulfill the best blog post requests, you can be assured to get at least one comment from the person who asked for that particular blog post. Besides that, this tip is also worth implementing because you might receive some amazing blog ideas you would not have thought of yourself. Ask yourself this question every time you are about to publish a new blog post. If your answer is “yes,” great, publish your post! If you answered “no” to the above question, you would probably have to change or add something. If you would not even comment on your post, then why would anyone else? You can use the other tips and tactics covered in this post to make it more attractive for people to leave a comment. Whether this tactic will work depends on the type of blog you have. I would not highly recommend trying this method if you maintain a business blog, but if you have a personal blog, however, this tactic can work amazing. Most personal bloggers already write about personal and emotional topics such as death, life, your fears, your dreams, failures, inspirations, and desires. If you have not ever tried writing about that kind of comment-catching topics, this post is a great example of model. This may seem like weird advice to give, and of course, it is true that your blog posts make your blog unique and worth following for your blog readers. However, if you publish very often, your new posts will be pushed off your blog’s homepage in no time. Bloggers who have a high publication frequency (for example, once a day) may want to try publishing less often (for example, once a week). This will likely result in more comments, on average of course. If you permit comments on your blog (and why wouldn’t you? ), make sure the commenting process is as easy and straightforward as possible. Some people may not like a particular login system or don’t have a WordPress-account, so it is best to have a login system that almost anyone can and will use. In my opinion, Facebook-comments is an example of a great commenting system. Another option is to have multiple login systems so that blog commenters can choose which one to use. Not only will writing short articles save you much time, but it will also very probably result in more comments because people will read your complete blog posts. People prefer reading a blog post that is around 300 words instead of the usual 1,200 words you may use. The only disadvantage of this method is that some people may find it hard at first to describe their thoughts in just a few sentences, but believe me, practice makes perfect. Numerous small, personal and informative blogs successfully apply the tactic of writing shorter articles. 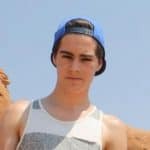 A good example of such a blog is Joe Bunting’s The Write Practice who has a 275-word blog post that received 320 comments. Another person who is known for his short blog posts is Seth Godin whose shortest post only measures 57 words. To help people find your blog posts, without spending much time on SEO, it can be a great option to comment on other blogs and connect with other bloggers and their audiences. If your comments add value and are genuine and helpful, people generally won’t mind if you include a link to a related post on your blog. They may even really like your blog posts and decide to comment on your posts, share your blog on social media, or even better; link to you from their blogs. Please don’t ever leave comments like this one. This one certainly isn’t my favorite tactic because it is nonpassive; it requires you to keep putting in time and efforts. A comment exchange group can be as simple as a Facebook group of other bloggers who also want more comments on their blog posts. The idea behind a comment exchange group (also known as a “comment cluster”) is to, as the name suggests, trade comments. Once one blogger published a new post on their blog, other members of the comment cluster are expected to leave a comment on that particular post. Therefore, comment exchange groups only work if all team members have the same blog post publication frequency. I recently stumbled upon CommentLuv, a plugin that can help to get more blog post comments. Having CommentLuv installed on your blog stimulates people to leave a genuine, value-adding comment because commenters get the option to have a link to their latest blog post shown below their comment on your blog post. CommentLuv seems to be nothing else than a win-win solution. The commenter gets a link to one of their blog posts, and you get more comments. Although it can certainly work fantastic, please be aware of the fact that CommentLuv can attract meaningless and non-value-adding comments such as “great post” or “very helpful advice.” However, please don’t worry about this because you can quickly delete links or even complete comments. Mobile-friendly websites are becoming more and more important. Without a responsive theme or template installed on your blog, chances are it is keeping people from commenting on your blog posts. If you do not already have a mobile-friendly blog, it is more than time to find a responsive theme, for example at ThemeForest. If you are getting hopeless because no method seems to work, you always have the option to resort to the tactic of “buying” comments. Come up with great competitions and incentives, or tell your blog readers that they can win stuff if they comment on a post. Give away the newest gadgets or say that you are going to pick out the most terrific commenters who will earn a free eBook, consultation, course, or whatever you want. It may cost you some money, but it is a fail-safe way to get more comments on your blog posts finally. I would love to hear what you think about the tactics and methods covered in this post. Would you be more likely to leave a comment if a blogger follows these tips, or did I forget to mention a great technique for getting more blog post comments? I hope this post has been helpful to you. Thanks for reading! P.S. : If you have a blog post that you believe deserves to have more comments, just leave the URL in the comments below, and I (and others hopefully too) will gladly comment on that particular post. Jeroen Van Gils has a huge passion for blogging, affiliate marketing, and SEO. He is the founder of Recent Reviews, a review website for digital products, such as eBooks, online courses, memberships, and software. If you would like Jeroen to write on your blog as a guest author, please feel free to contact him here. I accept guest posts on my site! But before you begin, please click here to read my editorial guidelines to increase your chances of getting published. I'm very picky with the posts I will post so make sure you can write actionable and valuable posts for my readers.